While serious trucking accidents can occur anywhere in the state of Georgia, the Atlanta area experiences a large number of truck accidents because of highly traveled highways such as Interstate 85, Interstate 75, Interstate 20, Interstate 16 and the I-285 Beltway. These accidents often result in serious personal injury or death. We have handled many of these cases, and have developed a method to quickly respond for the protection of our clients. If you have suffered a severe personal injury in a wreck with an auto or truck, let Slappey & Sadd, LLC review your case before filing a claim or settling with an insurance company. The insurance company settlement process is established to represent the insurance company’s best interest for any car or truck accident, not yours. Slappey & Sadd, LLC will evaluate your case and answer all of your questions before pursuing a lawsuit on your behalf. What Do the Attorneys Do If I am Involved in a Truck Accident? Our lawyers immediately take steps to secure evidence in truck wreck cases, because we know that the trucking companies and their insurance companies are there to defend the truck driver and deny the harmed families and individuals their rights. We employ accident reconstructionists and other experts immediately to assist us in building the our client’s case. It is important to quickly subpoena the available evidence before it is “lost” by the trucking or insurance company, so we are always vigilant about requesting and obtaining the necessary information and evidence before it suddenly disappears. In most cases, we file the lawsuit within a few days of being hired because of the all too common practices employed by trucking and insurance companies to limit their financial obligations for losses they cause in truck accidents and wrecks. We strongly suggest that if you or your family has been harmed by an accident, that you hire quality legal counsel immediately. Based on our experience, we can assure you that the truck and insurance company will have their lawyers and investigators on the case for their protection the same day of the wreck. Are There a Lot of Truck Crashes in Georgia? Unrealistic schedules and deadline for truckers. Driver exhaustion from long periods of driving. The driver not paying enough attention to the roads. Difficulty in seeing blind spots from a truck. Mechanical problems with the truck or conditions on the roads. What is Being Done to Reduce Tractor Trailer Crashes? New laws and higher standards have been enacted to fight this growing problem, including mandating fewer hours on the road at a time for truckers and more frequent and effective safety inspections. Although both government officials and trucking companies have acted to lower the rate of trucking accidents, they are still all too common and the injuries sustained can be severe. If you or someone that you know has been involved in a collision with a truck of any form (18 wheeler, flat bed, tanker, delivery vehicle, etc), there is help and you could be entitled to financial compensation for your extensive physical and emotional pain. You should immediately contact a knowledgeable truck accident lawyer who will guide you through the complex legal system to ensure that you get the help you need. Don’t let your opportunity for justice elapse. Accidents involving trucks on the country’s highways are far too commonplace. When they happen the outcome can be devastating to all involved. There are a number of likely offenders, including 18 wheelers, semis, flatbeds, gas tankers, small trucks, delivery trucks and trucks carrying hazardous materials. What Happens When an Accident Takes Place? The impact of a truck accident depends on a number of factors, such as the speed the truck was traveling, its size and the cargo that was being carried. If a large fully laden 18 wheeler fails to stop when a vehicle in front has braked, the consequences could be devastating. The vehicle taking the impact may be completely destroyed, leaving all the occupants dead. If a truck driver runs a red light and collides with any other vehicles at the intersection, there will certainly be some casualties. Trucks are so big compared to other vehicles that anything such as a pedestrian, a cyclist, a motorcyclist or a car that comes into contact with it are likely to come off very much the worst. Crashes involving tractor trailers result in some of the most serious injuries, including a crushed torso, multiple fractures, facial damage, traumatic brain injuries, spinal cord injuries and disfigurement. Many injuries are so serious that lives are lost. Long recovery periods are a feature of truck accidents too. T-Bone – when the truck hits the side of another vehicle perpendicularly, usually at an intersection. Poor loading causing load to move or fall. The causes of commercial vehicle accidents could be due to the company not maintaining the truck adequately so poor quality parts and incorrectly fitted parts could cause an accident. Driver error is the most common cause of accidents. When the driver is to blame it may be due to tampering with the truck’s logbook so that he or she can drive longer than the maximum period allowed. This is a dangerous activity and could cause an accident through driver fatigue or driver distraction while the individual has to take his or her mind off the road to talk to relatives on the cell phone or eat a fast food meal to save time. Whenever an accident does take place, the first at the scene is often a truck company representative who is reluctant to allow the company or the driver to be blamed for the accident. They may already have their defense compiled before anyone can respond. If they decide they can’t evade responsibility for the accident they more often than not offer only a token amount in compensation to the victim in the hope that a court appearance can be avoided. This is rarely enough to cover medical costs and loss of earnings while the victim recovers. 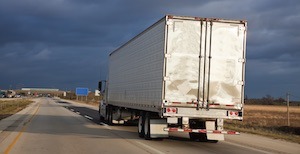 What Can You Do If You Are Injured in a Truck Accident? If you or a member of your family is injured in a tractor trailer accident or someone has been killed you should contact an experienced truck accident personal injury attorney and find out if you qualify to file a wrongful death or personal injury claim. Most attorneys work on a contingency fee basis meaning no upfront fees are payable and the legal fees are paid on settlement. In most states a statute of limitation applies which is normally 2 years from the date of the injury or death. A car accident can cause devastation, but tractor trailer crashes, truck crashes, and an 18-wheeler crash can result in life changing injuries to those involved. They are large, heavy vehicles and when they hit a person or obstacle, whether at a fast or slow speed, there will be injuries. What Causes Tractor Trailer Crashes, Truck Crashes and 18-Wheeler Collisions? There are many varied reasons for these types of truck crashes. Typically, many are due to the careless and negligent action of the driver or the truck company the driver works for. What Happens When an 18 Wheeler is Involved in an Accident? As soon as the trucking company hears about the accident, it usually sends along a company team to assess the damage and the cause of the tractor trailer crash. The team, which often includes a representative of the company’s insurer, is always quick to erase any evidence that might implicate the driver and the truck company as the cause of the accident. If there have been any serious injuries or even fatalities it could cost the company a lot in personal injury claims. 18 wheelers are enormous vehicles, so if other vehicles or people are involved when the truck crash took place, the injuries could be serious. The type of injury will depend on the nature of the accident. If the truck driver was distracted and rear ended the vehicle in front when it came to a stop, the driver and passengers of the vehicle that had been struck may have very serious injuries depending on the speed of the truck. The vehicle might have been completely destroyed leaving no life spared. If the truck had managed to slow down before impact the occupants of the vehicle struck would still have had no warning and the their bodies would have been thrust forward giving them no time to brace for the impact. Seat belt injuries could be serious damaging the torso and the shoulders and whiplash could take its hold on the neck. If tractor trailer crashes are head on collisions, fatalities would be more likely to take place. If anyone survives they would unlikely be able to resume normal lives as the injuries would be life changing. All is not lost for victims of truck crashes as it is the legal right of a victim that has been injured or killed in such an accident to file a personal injury claim or a wrongful death claim. The first enables the victim to be free of the financial burden of an accident that was not his or her fault and the second compensates the family for their loss. It is important to hire a truck crash personal injury attorney who can gather sufficient evidence on your behalf to ensure you get the compensation you deserve. Without an attorney you will have to take on the truck company’s insurer on your own which will probably mean a token amount will be offered at best – not the full amount.